As the sun rose over the horizon Sunday November 5th, our sleepy campus was preparing for our awe inspiring friends at Life Church to bless our children and program once again on their annual Be Rich Day! Over 400 volunteers young and old, arrived on campus around 10 AM and spent the day beautifying our cottages and campus as a gift to our amazing kiddos. Projects included landscaping both front and back yards, painting, decorating and general clean-up help! As the crews from the church arrived, the staff was on hand to serve as well. Breakfast and lunch was provided to our new friends with help from the Riviera Restaurant and Cantina, Peter Piper Pizza and Subway. It was truly a day of fulfilling friendship, love and fellowship – all to benefit our children. ONE INCREDIBLE DAY OF SERVICE! 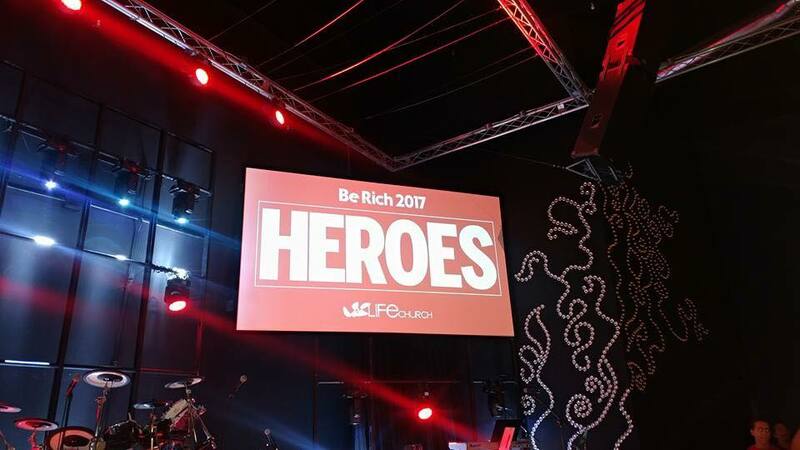 The staff and children here at LBMCH will NEVER be able to thank the “Heroes” of Be Rich 2017 enough! Click here for photos from the day. A Very Merry LBMCH Christmas!